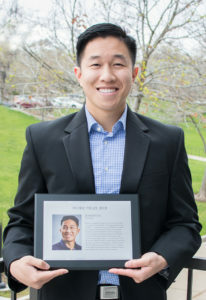 Johnny Le, an BS/MS student in the University of Utah’s School of Computing, was awarded the 2018 Ivory Prize for Excellence in Student Leadership for his work in developing the annual HackTheU event. HackTheU is Utah’s largest hackathon and was held for the first time in November 2016. Over the course of 24 hours, students from across the state and nation develop solutions to the various prompts through augmented reality, virtual reality, Internet of Things, and other applications. In addition, students have access to workshops on various tech topics presented by members from the local industry. Le was motivated to start the event after visiting similar hackathons throughout the country. The Ivory Prize for Excellence in Student Leadership has been made possible by a generous commitment from Clark Ivory, former chair of the University of Utah Board of Trustees. 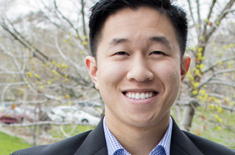 He established the prize to support students who have demonstrated extraordinary, influential accomplishments and leadership efforts that impact student success and positively affect the broader community. Le will receive a $2,000 award, and $10,000 will be donated to HackTheU for further investment and development of the program.